I really like "Car Dash" Portwood. In my opinion, only curmudgeons that are set in their ways might suffer from an inability to appreciate this very unique offering by Laphroaig. Yes, it's radically different from the typical Laphroaig taste profile, but I welcome the diversity. After all, so much of Laphroaig is really just subtle differences of the same essential characteristics. 2013's Feis Ille was truly unique, and truly original. For this reason, I feel that it is destined to become a collector's item. Why? Because the most unique collector's items that differ from mass produced and readily available stock are the items that tend to be valued the highest. Of course, the other notable qualifier is quantity. The 2013 Cairdeas was fewer and farther between than the 2014 will be, from what I've heard. Now, let's move on to the tasting notes, shall we? Nose: This is where the 2013 Feis Ille really distinguishes itself. The nose is multivarious and quite unique. In a way, it reminds me of a Bunnahabhain more than a Laphroaig. This said, if it were a Bunna, it would be a very good one indeed! A savory peatiness wafts out of the glass with hints prosciutto, along with succulent fruits like Juan melon and guava. Smoke also lends a hand, encircling the savory notes and fruity notes delightfully, like a nice hardwood fire in the hearth. I would venture to call the whole mixture "creamy" as in actual cream. There is a kind of smooth dairy quality that I find especially appealing which tends to subdue "loud" individual notes, causing a type of welcome harmony for the nose to appreciate. Palate: The nose, while more complex, does not immediately yield into the palate. In other words, the palate is surprisingly different from the nose. Yes, the peat and the smoke are there, but wild berries quickly emerge from the "cloud of unknowing" to amuse and delight yet again. Unexpected black current, Marion berries, black plumbs, and just a hint of lemon rind also surface on the tongue and in the mouth. Stewed lamb and prunes also fit in there somehow as my brain was trying to come to grips with what I was tasting. Believe it or not some of these savory elements reminded me of a few Moroccan dishes that I've enjoyed while living in Manhattan's East Village in the 1990's. Finish: A gentle touch of peat and smoke resume, along with a very faint woodiness that is only a minor note and fairly inconspicuous. The wood evidently reminds some critics of mint. Not so for me, but I can see why this came to mind. The finish is alternately oily and then drying. The creaminess reemerges enough to fool some critics into reporting that the finish is merely medium. I find it slightly longer, but the notes are gentle. This said, hints of the palette linger fairly long, but turned down on a far lower "setting" than most Laphroaigs. It is a fairly long but gentle and forgiving finish. 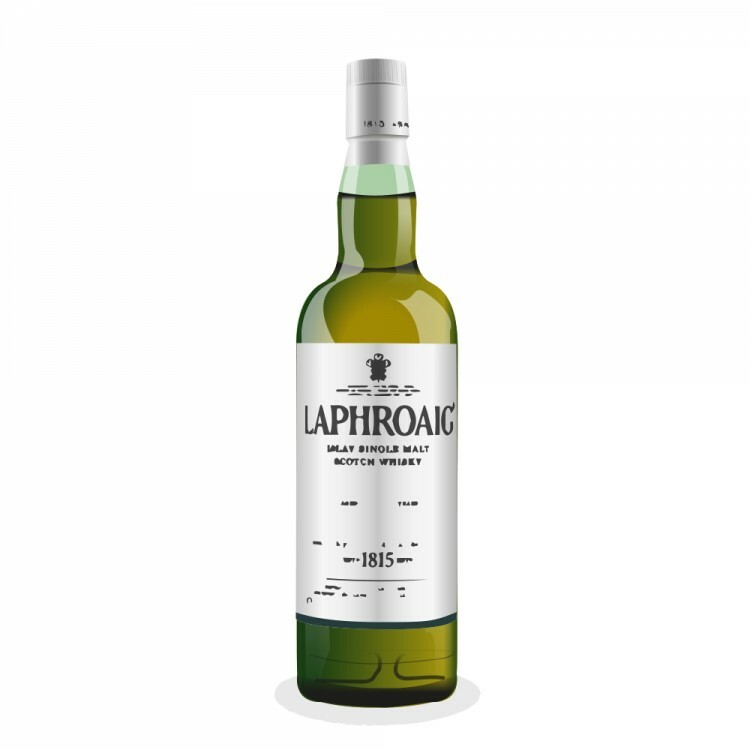 There is a lot to please here in this adventurous offering by Laphroig. I applaud the distillery on its willingness to experiment in a festive seasonal offering. And why not? The standard cabinet of offerings is still available for those who prefer a more standard profile. Bravo, Laphroaig! Yes, this offering does remind me a little of a Bunnahabhain, but in a good way. Distillery Manager John Campbell went out on a limb with the 2013 Feis Ille offering and it paid off. Well done, John! One last thing: Do I detect just a touch of some older spirits in here? Smooth, smooth, smooth. Mum's the word. Now you're going to make me second guess my self! @MaltActivist, I fall out closer to @rigmorole on 2013 Laphroaig Cairdeas Port Wood. It is different from other Laphroaigs to be sure, but quite enjoyable. I've tasted it and am also sitting on a bottle which will likely remain unopened and unreviewed by me for another year or two, or more. That is a lovingly executed review, @rigmorole. Thanks! I will, however, re-visit it and see if anything in there changes my mind. My one major criticism of the portwood: in the glass, after one hour, even with a cover on the glass for the full one hour, this whisky loses its vitality to a perilous degree. Flavor and depth: gone. Conversely, the cask strength is not dimished. It still stays vital and possibly even better after an hour (when covered). The portwood starts to taste a little like a Springbank and even a tiny bit like a Longrow. Weird. I'm still experimenting with this experimental bottle. Very fun. I think the predictions here were borne out: The 2013 Cairdeas is in fact the hardest of the modern Cairdeases to find these days. I would say that they are all equally rare in Ontario. And the 2015 is the best version I've ever had. @Nozinan , I think I'm repeating myself from elsewhere with this opinion, but I also thought the 2015 was the best after drinking them in isolation over the years. But then I tried the 2014 and the 2015 side-by-side around a year ago and was surprised to discover that I like the 2014 a lot more. It has a real nice, distinctive sharpness. I've only ever tried the 2015, so, to me, it is the best one I've ever had. @Nozinan , so a few posts up, when you said the 2015 was the best version you've had, that was based on having only that one version? Is there a joke there that I'm missing?